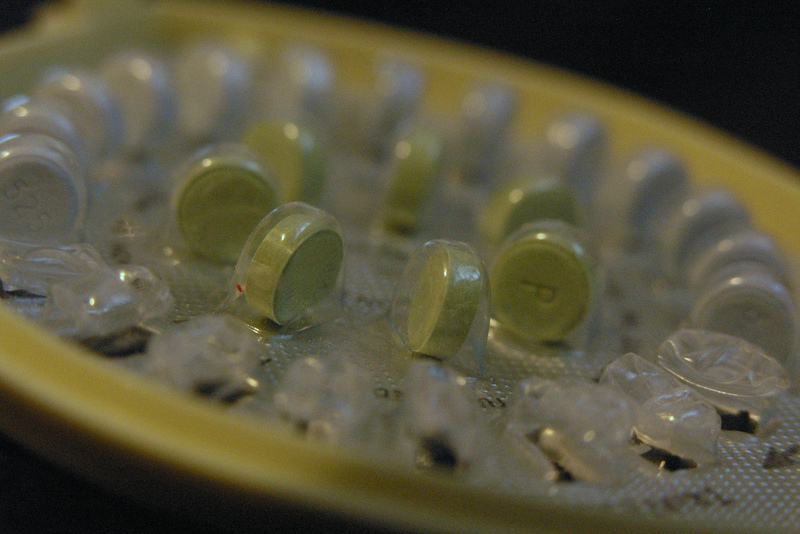 Most birth control methods for women prevent pregnancy by manipulating specific hormones. Yet there are dangers: Changing hormone levels can create small but measurable risks of stroke and other health problems such as mood swings and high blood pressure. An experimental hormone-free birth control technique takes a different approach by blocking enzymes that cause ovulation. Researchers call it a potentially safer method, although more research is needed before it can be tested in women. Oregon Health and Science University researcher Jon Hennebold and his team identified a group of enzymes — called metalloproteinases — that rupture the ovulatory follicle and allow the egg to be released into the uterus. By blocking nine of these metalloproteinases with an inhibiting compound, the researchers prevented ovulation in rhesus monkeys. Once blocked, the egg inside the follicle safely degenerates, according to their findings, published in the October issue of Endocrinology. Though the compound prevents ovulation, women would still have their periods, Hennebold said. Scientists have studied metalloproteinase-blocking enzymes in other animals. But this is the first time they have been injected directly into a primate’s follicles, said CheMyong Ko, a reproductive sciences expert at the University of Illinois not involved with the study. Ko added that this approach avoids disrupting metalloproteinase activity elsewhere in the body. But additional hurdles need to be jumped before the new technique could be used as a birth control method, Hennebold said, because injecting a drug into a woman’s follicle is not a pragmatic way to deliver birth control. Once researchers find a delivery method that can be tested safely, they will learn if it has any side effects. Metalloproteinases are found throughout the body, so the treatment would have to directly target the ovary. Hennebold’s team is searching for metalloproteinases that are expressed primarily in the ovary, “since inhibiting such an enzyme to block ovulation would have limited side effects in other organ systems,” Hennebold wrote in an email. His lab is now ready to take the next step. Having identified the nine metalloproteinases that make ovulation possible, the researchers plan to study each one separately to see which ones are more applicable to the new birth control method. If all goes well, women may have access to a new, non-hormonal birth control option in several years. “It’s crucial we provide as many options as possible for people who want to plan their families and their fertility,” Hennebold said. Sounds great! Godspeed Mr. Hennebold!! Has anyone heard about the testicular injection they’re doing in India!? It’s supposed to be 100% effective, last for 10 years and be completely reversible with a similar injection…well two injections to be precise. Why isn’t it here in the states yet?? Cause the pharmaceutical companies can’t charge you a monthly fee with this method! Bill and Melinda Gates are putting money into getting it over here. Hope it helps.